Best Coast: California noise rock rules | Will You Miss Me When I'm Gone? We here at Will You Miss Me When I’m Gone? 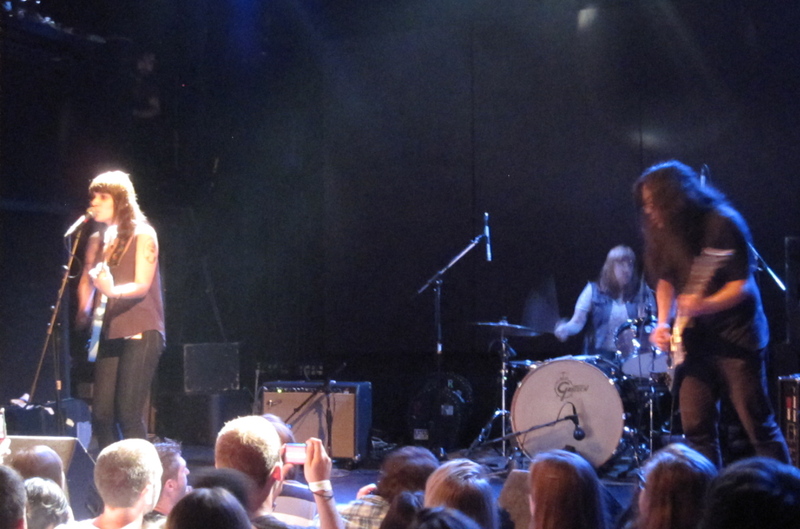 had been looking forward to Best Coast‘s return to New York for months. We missed the California stoner/noise-rock band’s free show at South Street Seaport because of scheduling conflicts — imagine that! — and so we jumped on tickets for the Wednesday, Sept. 29, show at the Bowery Ballroom as soon as they became available. Bethany, who said she’d been sick, still managed to sing her simple but charming lyrics well, and Bobb set the room on fire with his amazing playing. 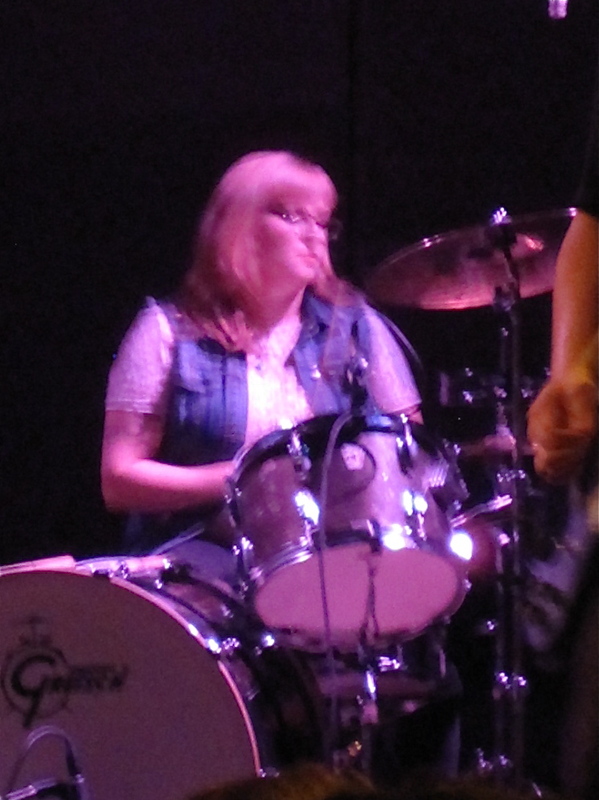 We have hopes that Ali will wake up and start really playing her kit, but in the meantime she did a decent job of keeping time. Or maybe she could just try to look like she’s not totally bored by the proceedings. Is Ali Koehler bored or just projecting a chill image? Comedian Eugene Mirman hanging out in the Bowery Ballroom bar. 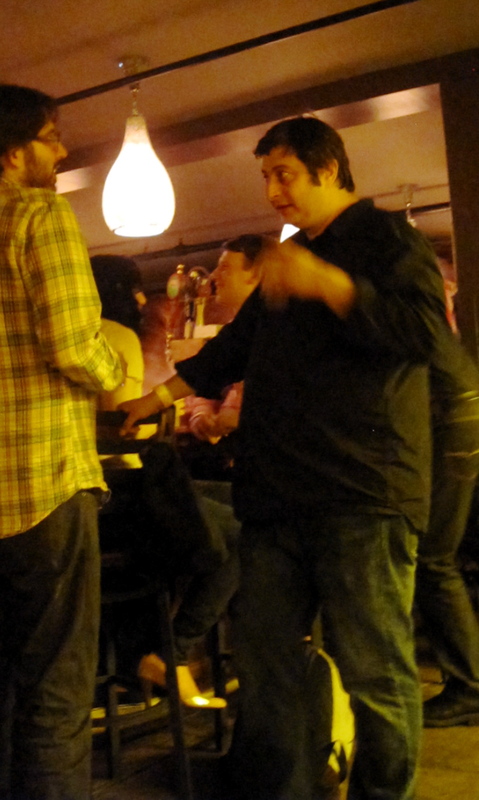 Oh, and indie-rock comic Eugene Mirman was there for the show. He spent a lot of time in the downstairs bar, and pacing from there to the smoking area outside — we didn’t see whether he was smoking — while checking his smartphone. 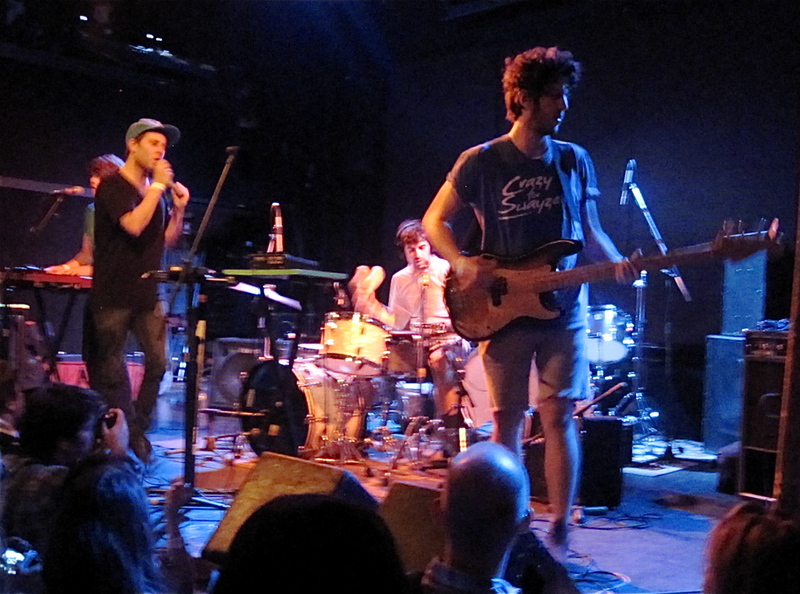 Brooklyn's Small Black opened the evening. Male Bonding, from the UK. Openers Small Black and Male Bonding didn’t seem to bring much to the table. Their sets were fine, but not remarkable. 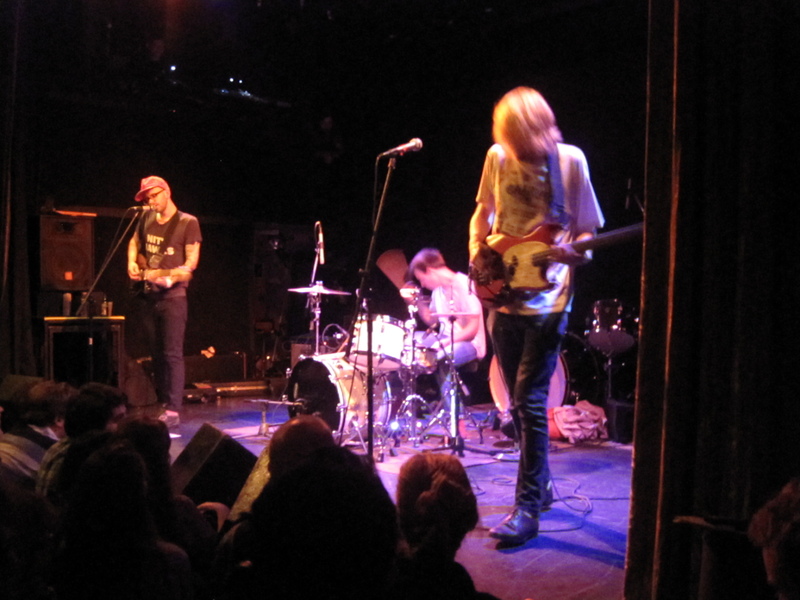 The tour moved to The Music Hall of Williamsburg the following night. We passeded the MHOW on our way to dinner after the Belle and Sebastian show at The Williamsburg Waterfront (there’s a 10 p.m. curfew there), and could hear Bethany belting out one of her last tunes of the night. It made us wish we could have cloned ourselves and been at both shows. 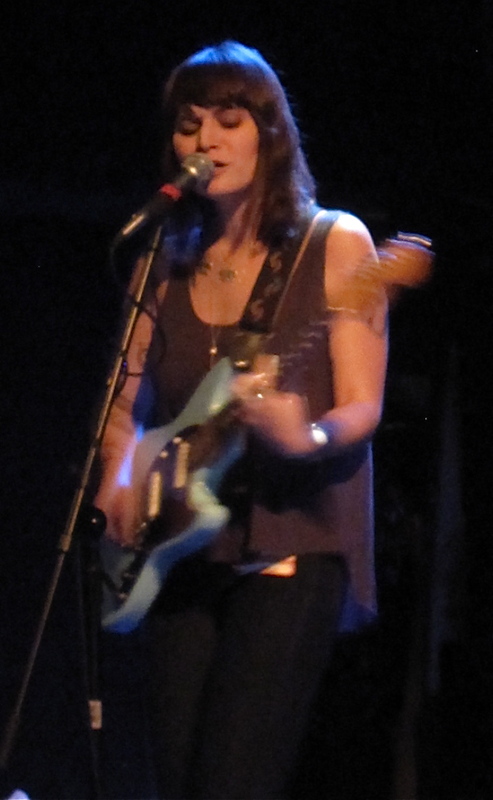 This entry was posted in Concerts, Music, Pop and Rock and tagged Ali Koehler, Best Coast, Bethany Cosentino, Bobb Bruno, Male Bonding, Small Black, The Bowery Ballroom, Vivian Girls. Bookmark the permalink.